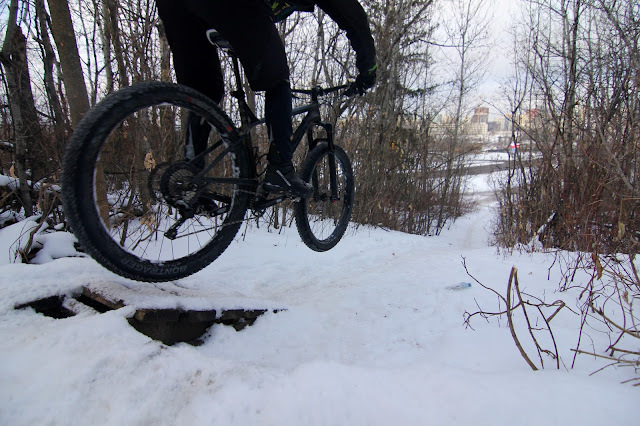 A Sunday football day meet up with Gord where time spent on the trails is always better spent rather than on the couch. I had even given up on watching my boys play a spirited game in order to ride on what is limited days at home. It was a winter haven out there today with very good snow conditions. We could have used it a few degrees colder but it didn't matter. 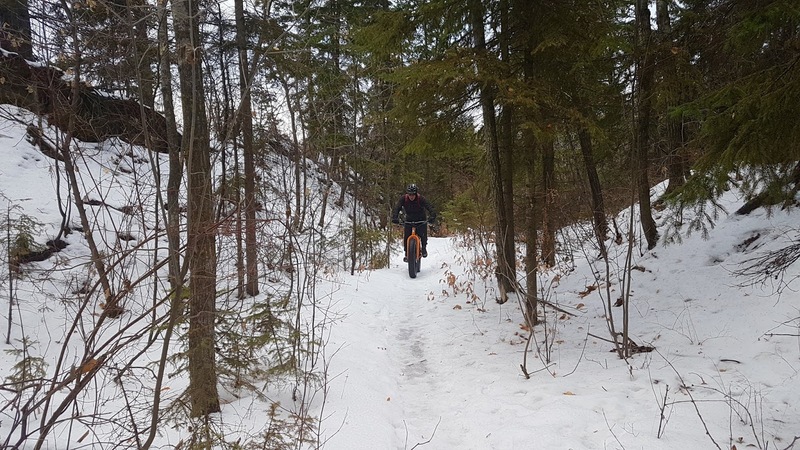 The singletrack was near perfect except for some iced spots that equated to some stiff legs and tightened forearms as one rolled over. The ride started at McNally and quickly we were in the Ewok area hunting down those furry little freaks. Gord was a bit beside himself when I pulled out my sawed off shotgun and started shooting at what I thought was an Ewok. Turns out it was probably just a squirrel, or a branch. Either way we had to leave as police sirens were approaching fast. What? Slow day boys? Got nothing better to do? We ventured further west and the fatigue from my poor overworked and underridden body started to catch up. A tour of a good chunk of the Old Timer area was had, Gnome was avoided and we were soon under the High level where I suggested crossing and riding it back easy on the paved. Gord looking nervously at his un-studded tires suggested going back the way we came. I saw his eyelashes fluttering and could not help it so we went back his way. In the end, a smart move as he probably would have died on the iced up paved trails. The bonus of going back on the south side? Skyline was ridden and it was pure magic. *Photo credit. Gord Brenner. From top to bottom. #2,#3,#6.